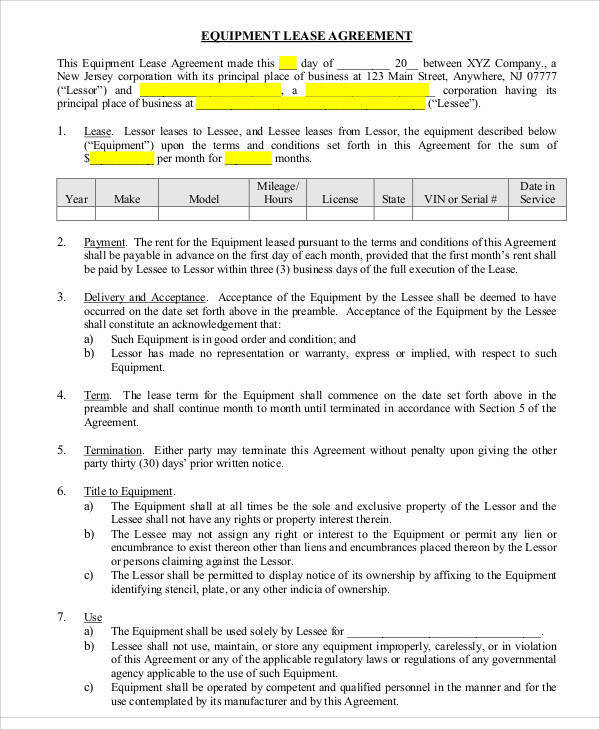 What do you think is the purpose of the lease? 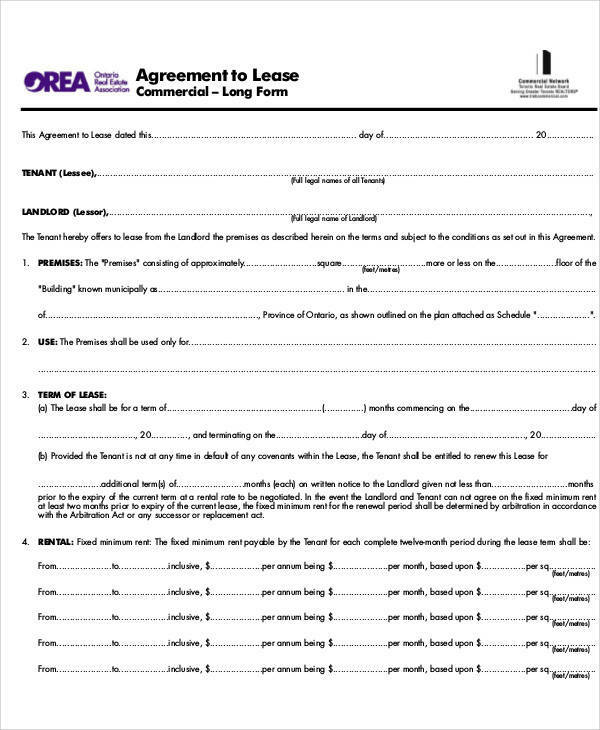 A lease works like a rent where the landlord allows a tenant to use or occupy a leased property in exchange for payments. 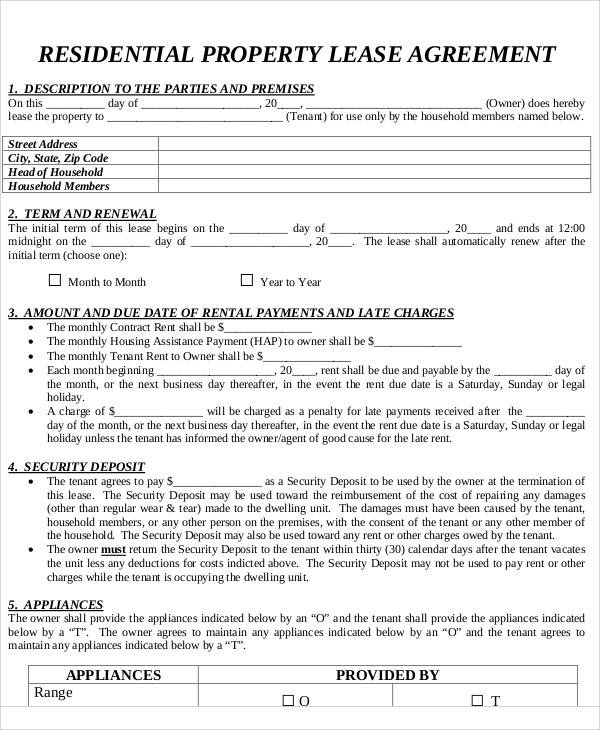 But unlike a rent whose agreement changes every month, the agreement in a lease may last from 6 months up to a year. 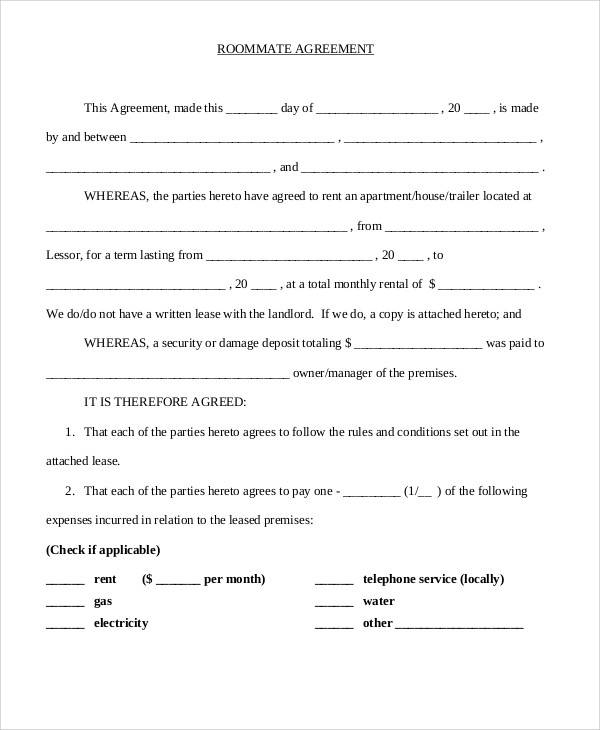 You can make a lease agreement of your own by downloading and using these 50 lease agreements that we have in PDF. 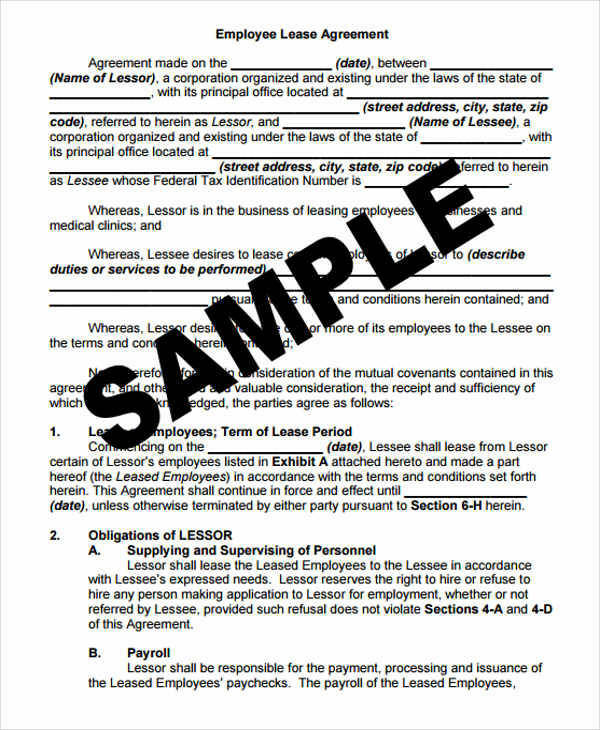 You can use them as reference to guide you with the lease agreement you are planning to make. 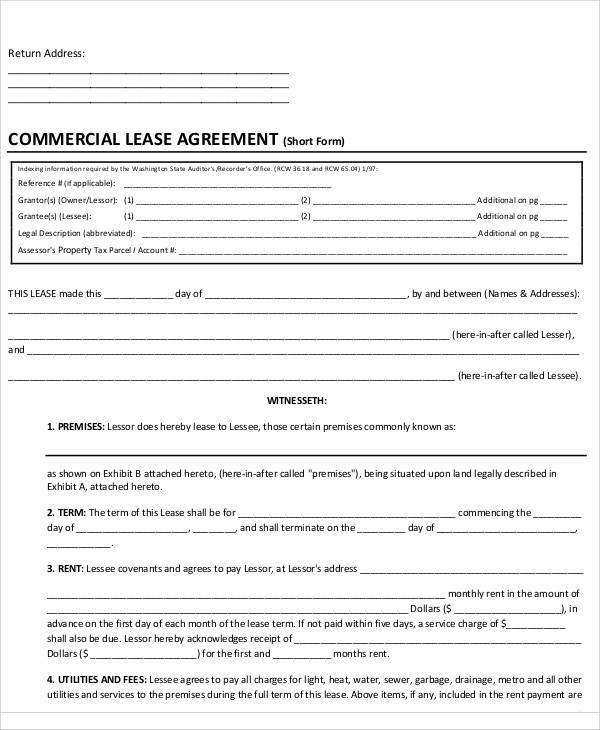 You may also use them as your own lease agreement document. 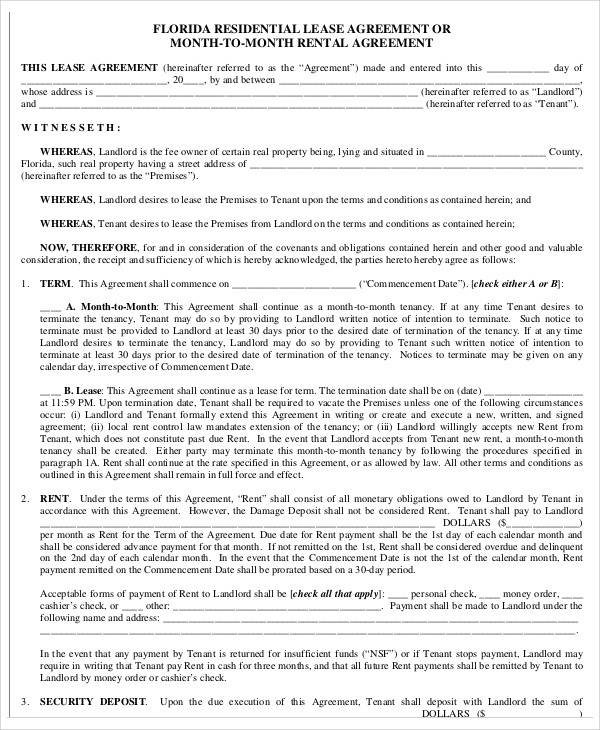 What Is a Lease Agreement ? 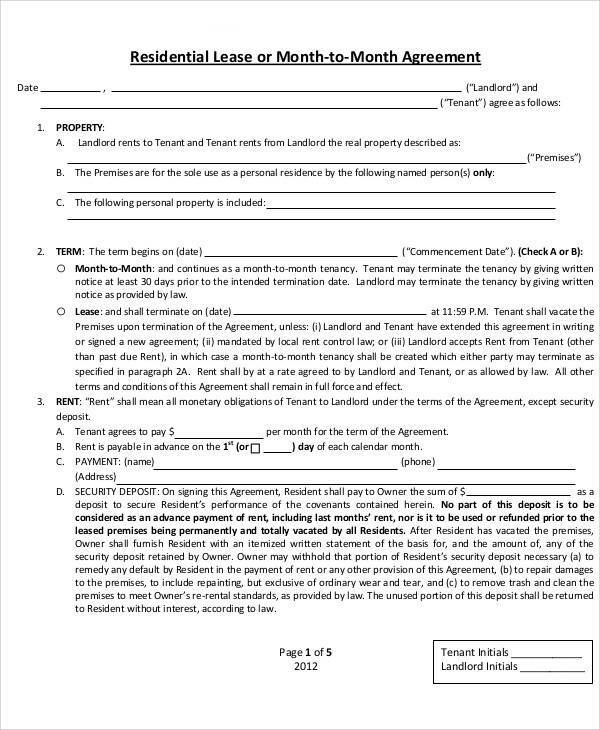 When a landlord grants rights to a tenant to use or occupy their property in exchange for periodic payments, a lease agreement is made. 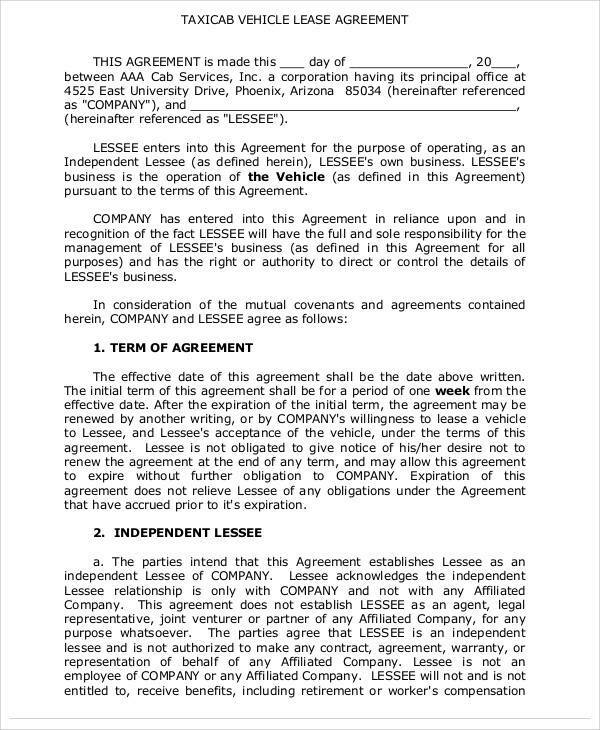 A lease agreement is a contract that is agreed upon by both tenant and landlord, which can be a room lease agreement or vehicle lease agreement. 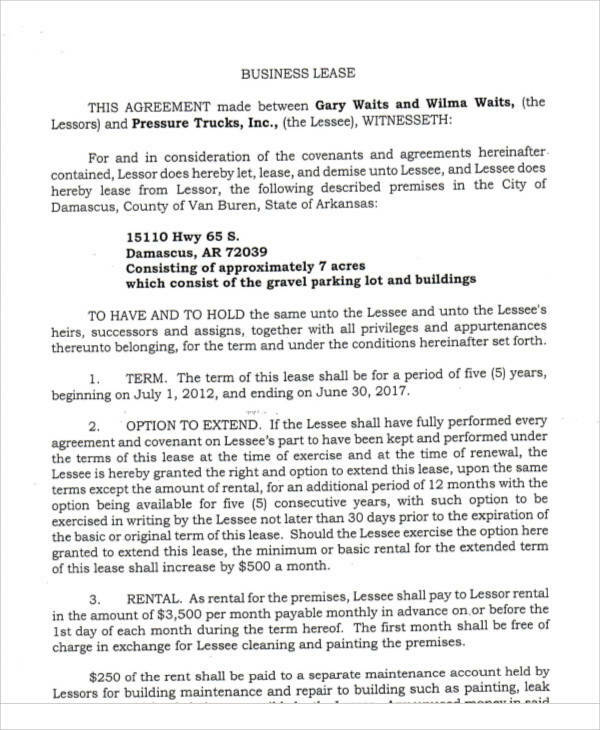 A lease should not be confused with a rent as a rent is a short-term or month-to-month agreement, while a lease may last from 6 months to a year depending on what has been agreed. 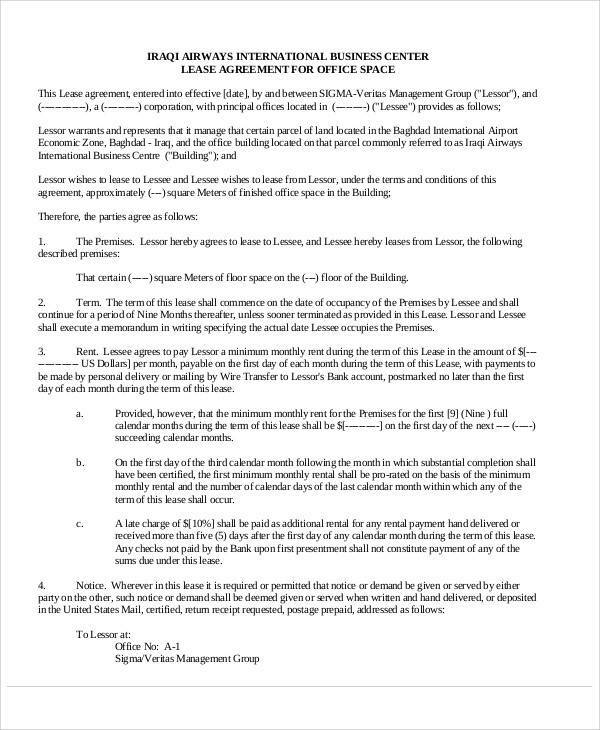 Within the time frame that the lease covers, no part of the agreement can be changed and that includes the rate of the lease. 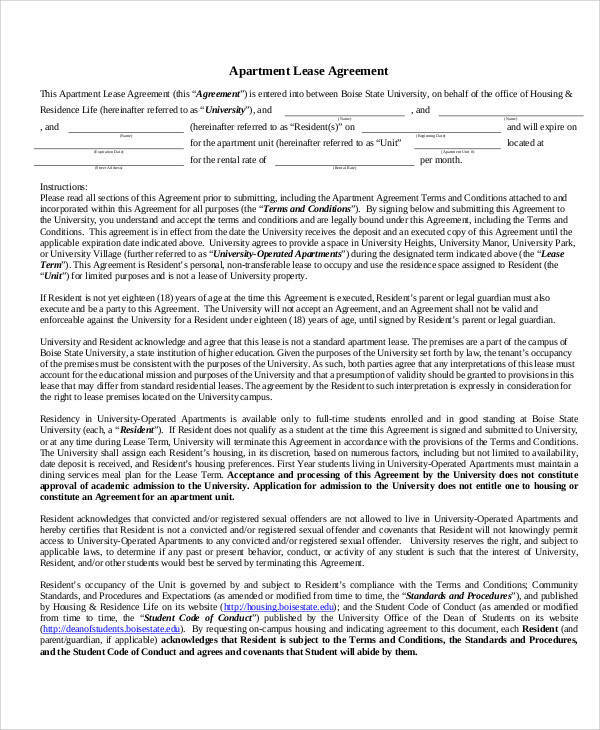 This is advantageous for the tenants. 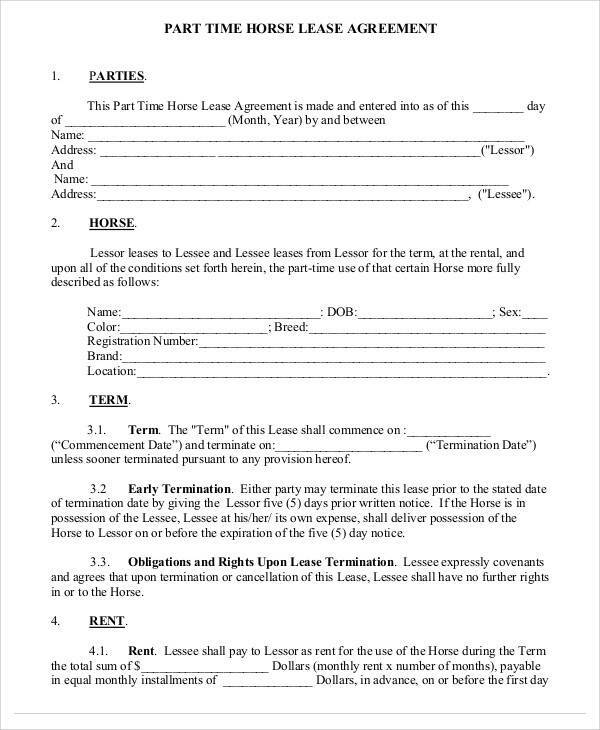 If the tenant decides to leave earlier than what was agreed on the contract, they are still obliged to pay for the lease until the contract expires. 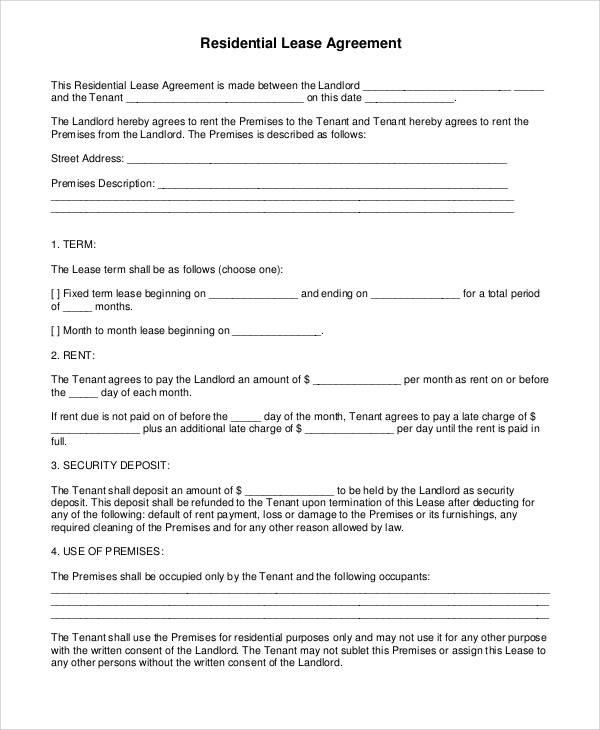 A lease agreement is a clear outline of the duties and responsibilities of both parties, which is the landlord and the tenant. 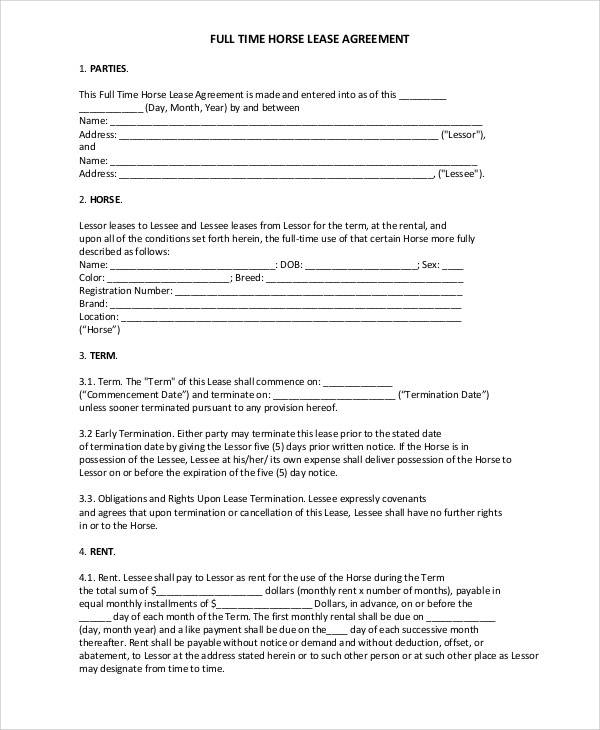 Having a lease agreement that is legally binding assures that both the landlord and the tenant obliges to the terms and conditions that are stated in the agreement. 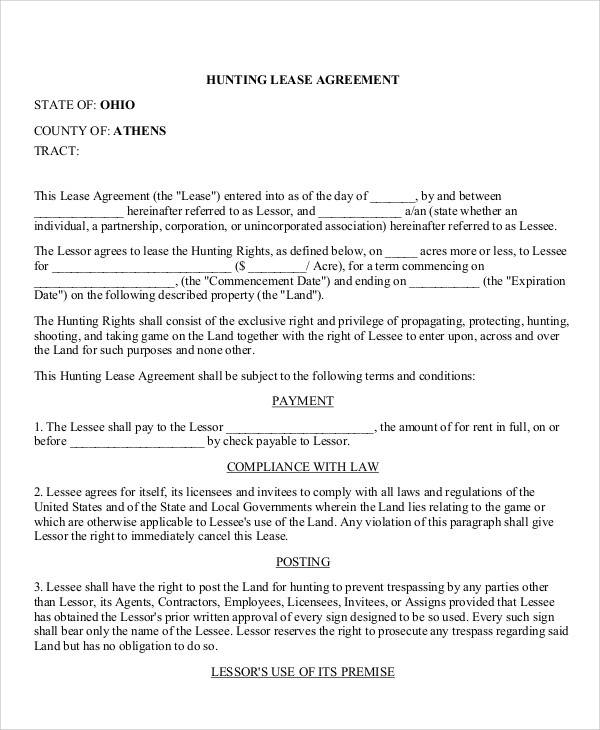 If a lease agreement is legally binding, it is enforceable by the law. 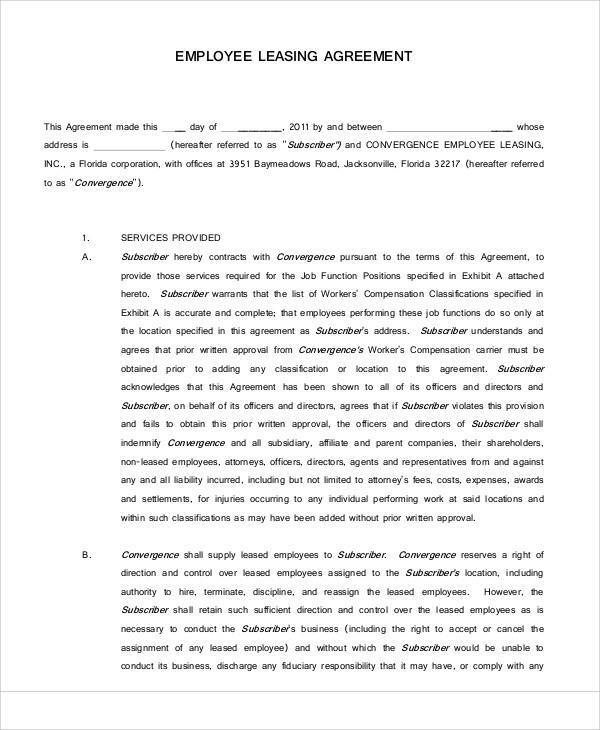 This means that any violations or any breach of the agreement will be dealt with the appropriate consequences or the consequences stated in the agreement. 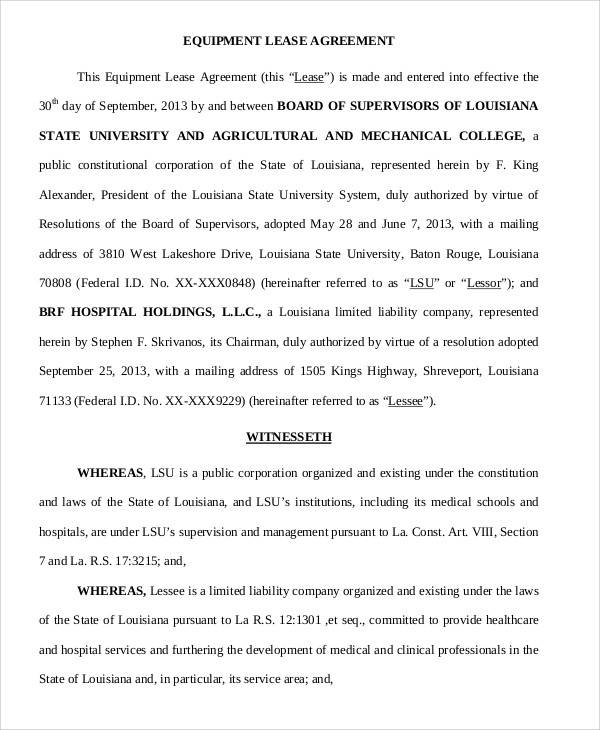 These consequences may be compensation for the damages or lawsuits being filed. 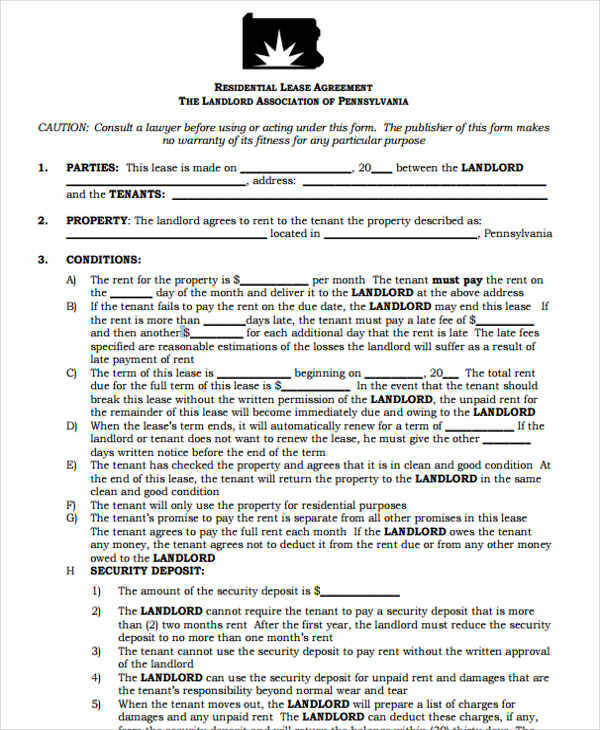 A lease agreement provides the exact amount of payment that is agreed upon by both landlord and tenant. 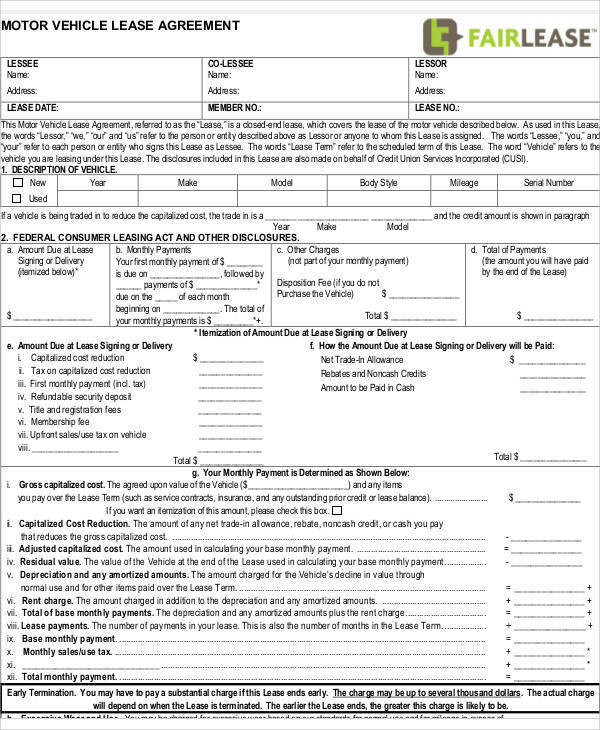 This includes the payment method and the payment frequency. 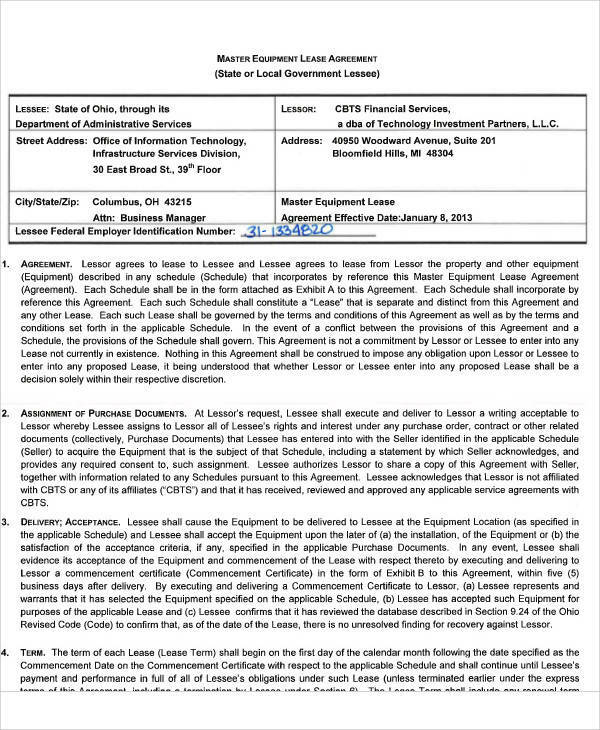 A clear statement of when the lease agreement will start and when it will expire is provided, which makes both parties aware of such dates, just like what you see in free lease agreements and printable lease agreement samples. 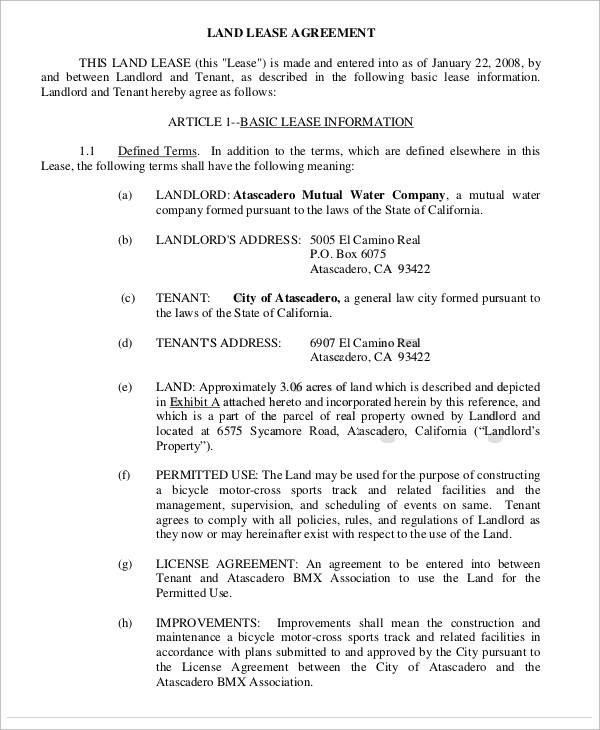 It serves as a guide on what the tenant can and cannot do with the property. 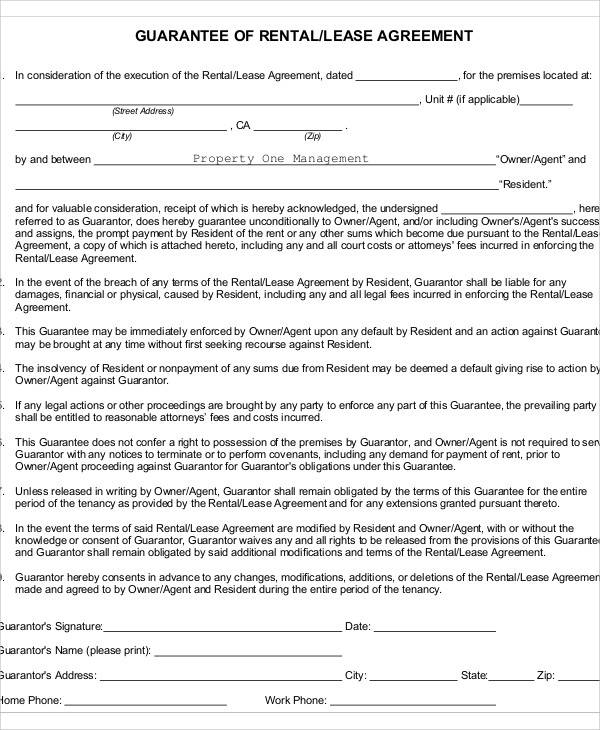 A lease agreement lasts for a specified span of time so the tenant can make sure that they will not be kicked out of the property before the lease expires. 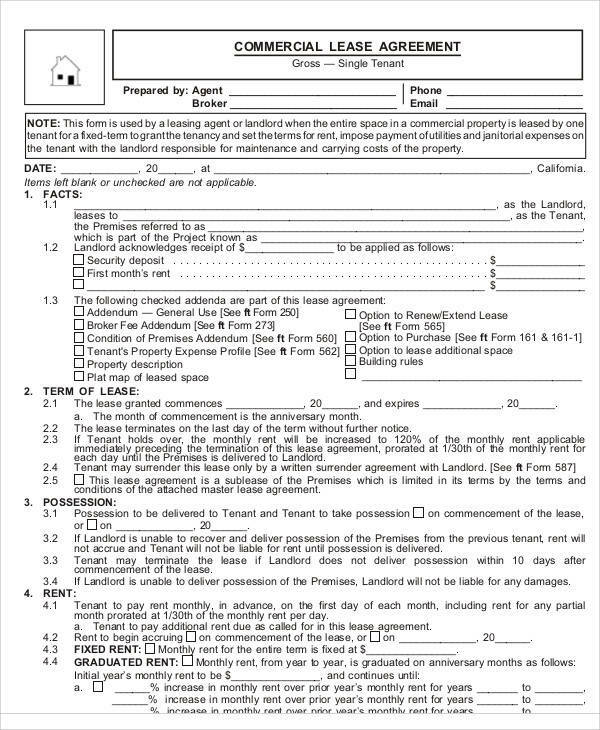 The landlord can also make sure that they have a continuous source of income for the said period even if the tenant leaves early. 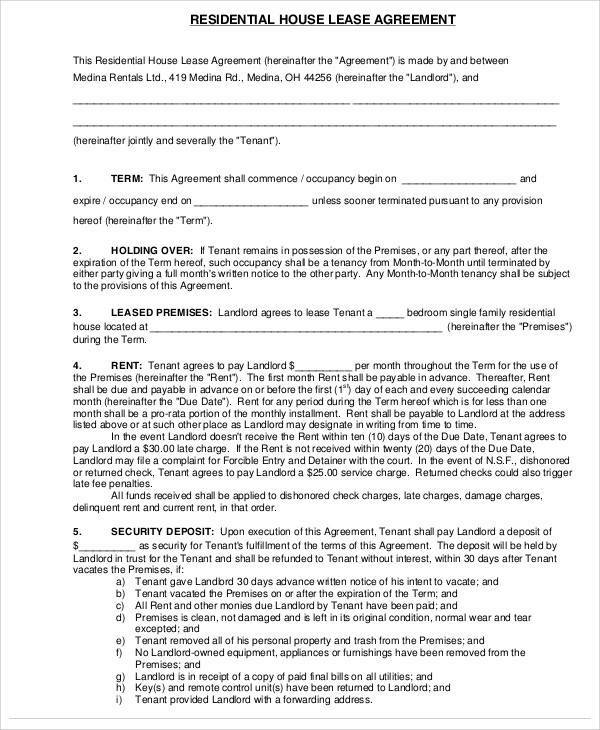 A lease agreement contract or document, especially one that is signed by both parties, serves as a proof that the landlord has given the tenant rights to use or occupy their property. 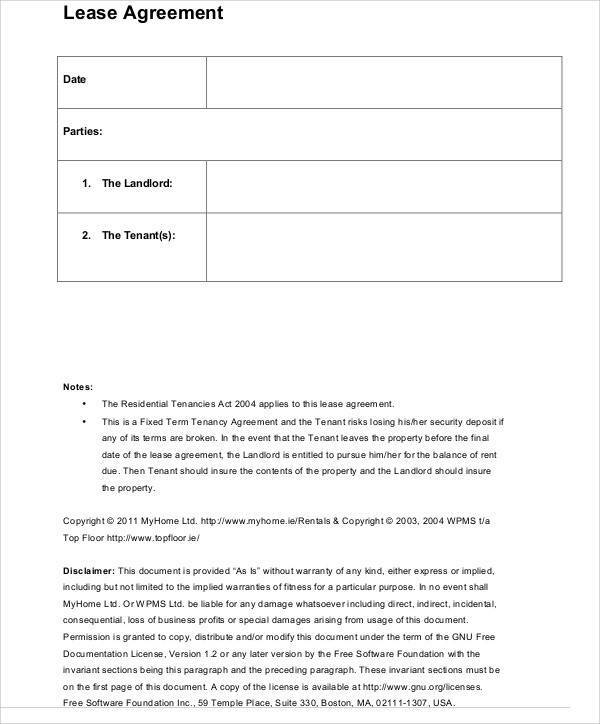 The main purpose of a lease agreement is to create a contract that is legally binding so that both landlord and tenant will be obliged to follow the terms and conditions. 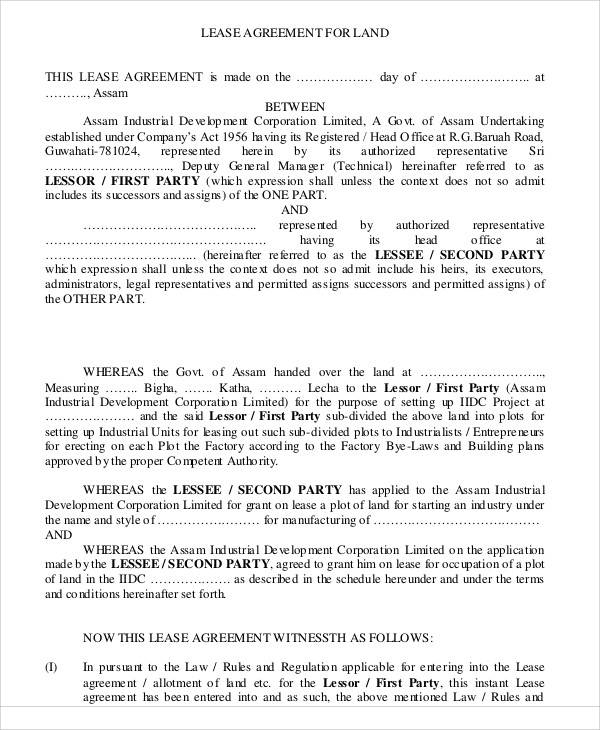 A lease agreement also provides a clear and specific outline of the duties and responsibilities of both parties with regard to the property or asset being leased. 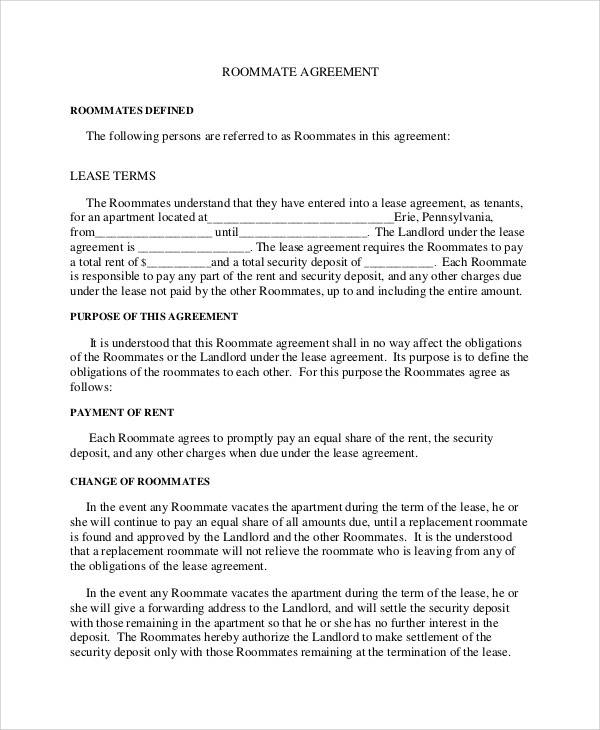 A lease agreement is used as a document that proves that the transaction between the landlord and the tenant took place and both agreed to it. 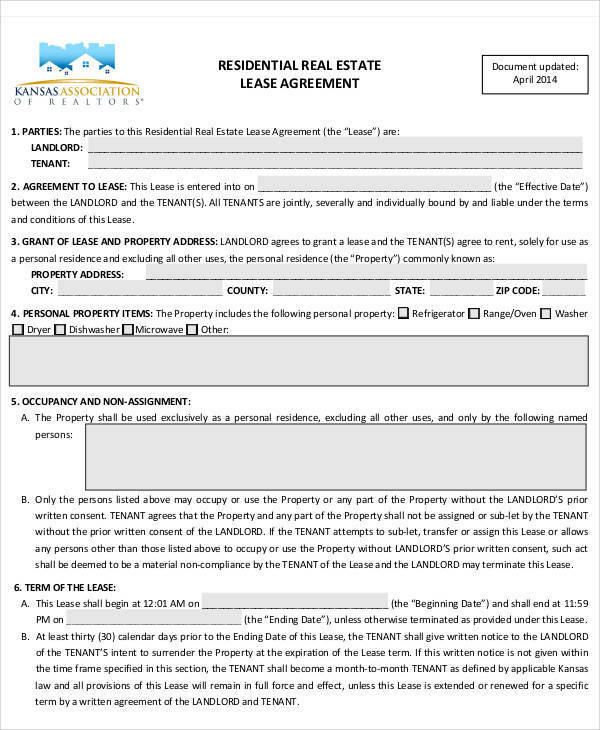 List all of the important elements and parts that make up a lease agreement. 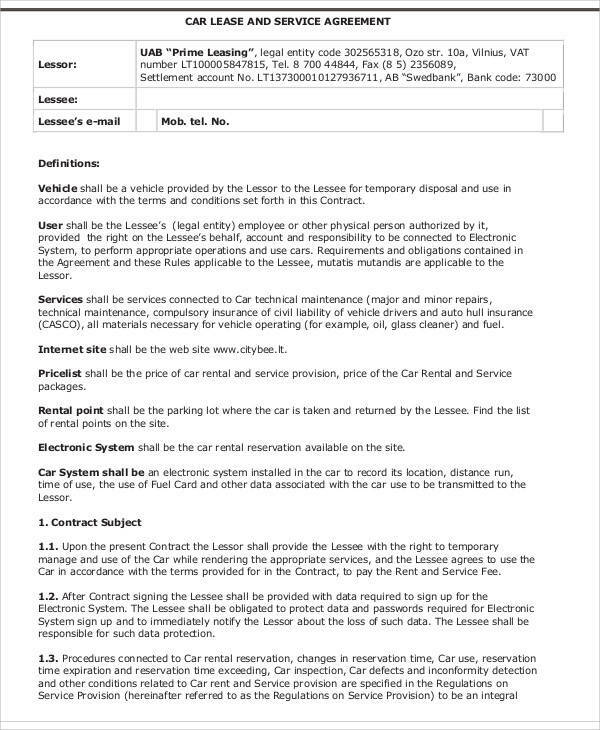 Create a draft of the things you need and want to include. 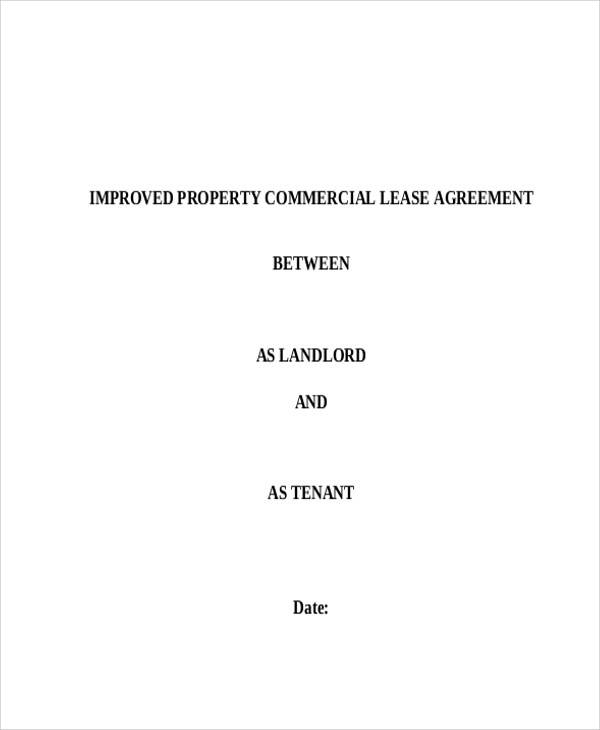 You can use commercial lease agreement or residential lease agreement as reference. 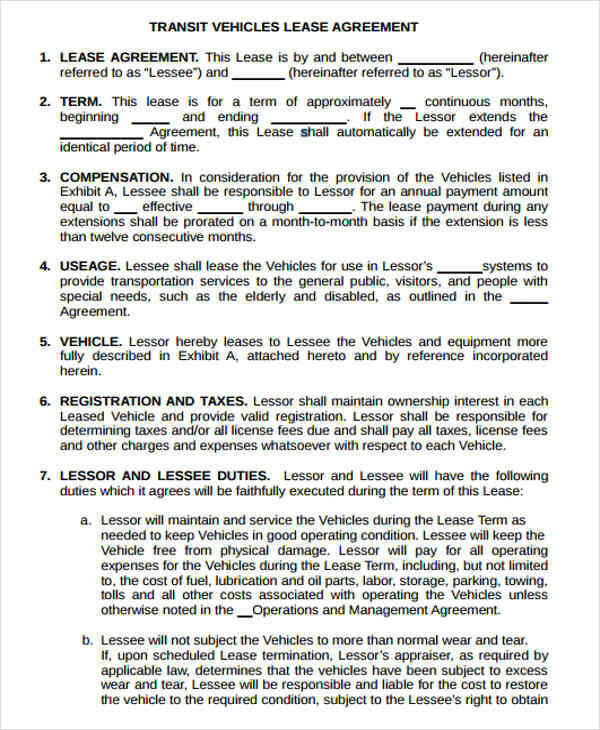 Select a lease agreement format you want to use. 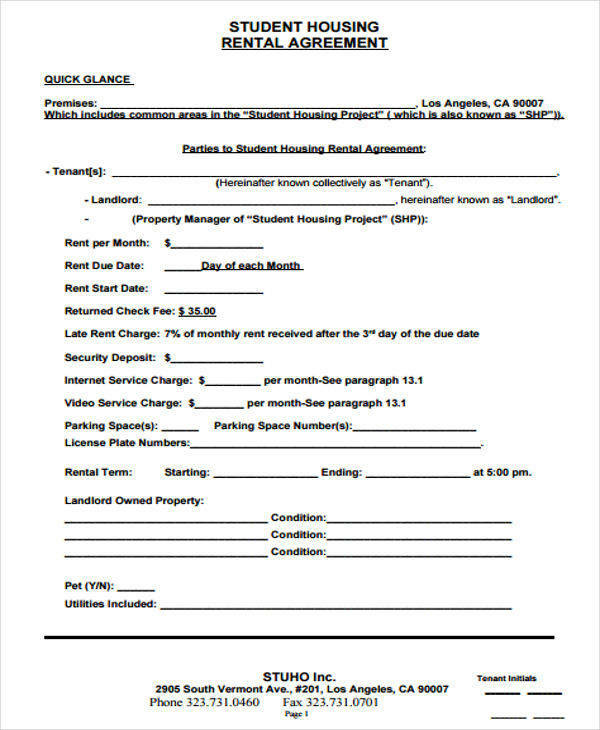 You may download a blank lease agreement online or create your own. 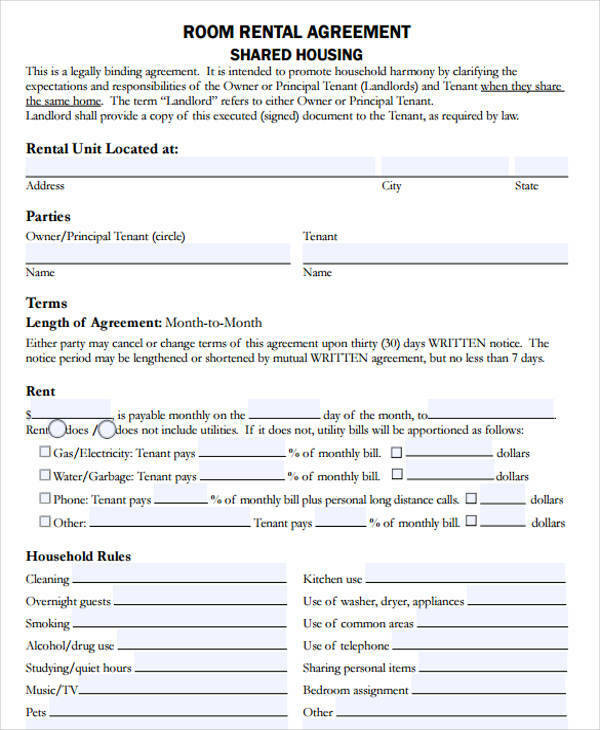 Put a header or title indicating that the document is a lease agreement document. 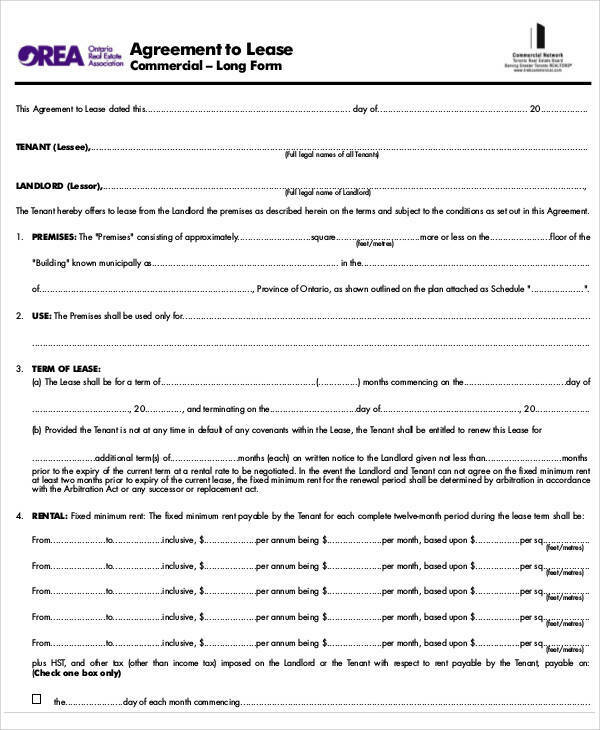 Transfer your draft to this final document making sure that you write them clearly and concisely. 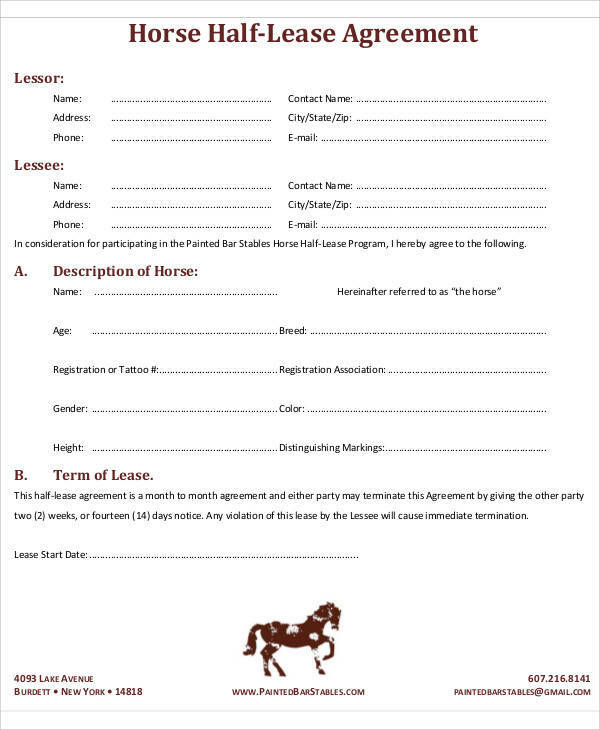 Provide a space for writing and affixing the name and signature of both parties. 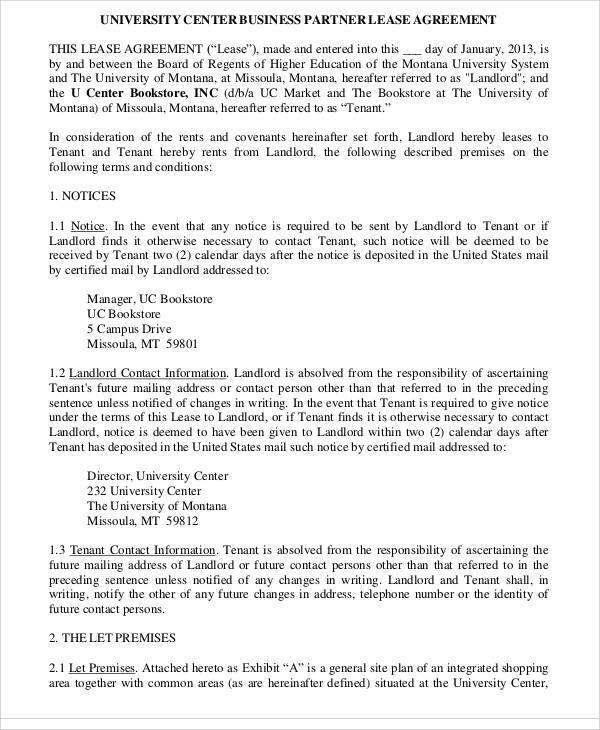 Check your work for any spelling or grammar errors. 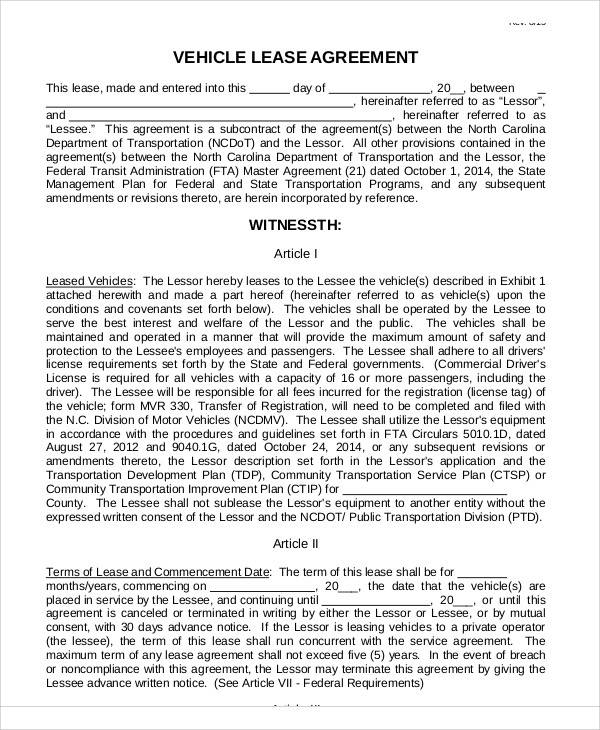 There are states that provide specific guidelines on how to create a lease agreement and it is important that you follow them. 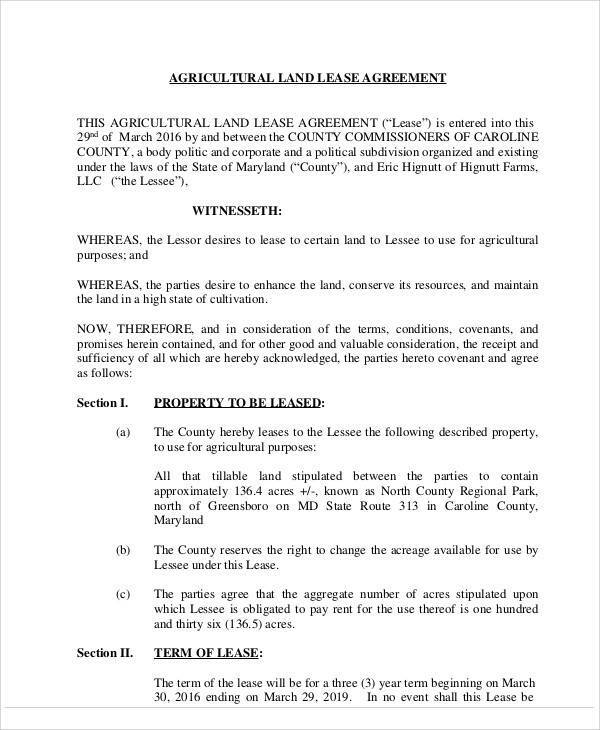 But if your state does not provide one, then you may use the following guidelines to be able to create a better and effective lease agreement of your own. 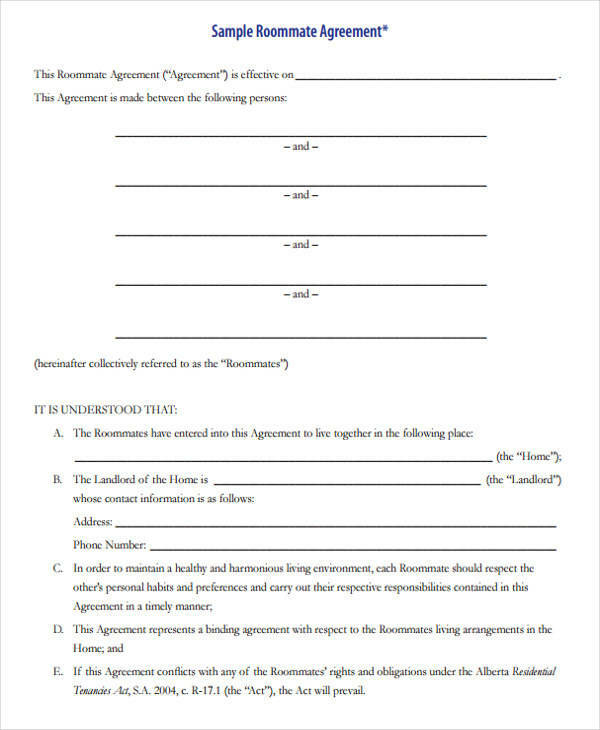 Always have a header or title of the document on top of the page to indicate what type of agreement it is. 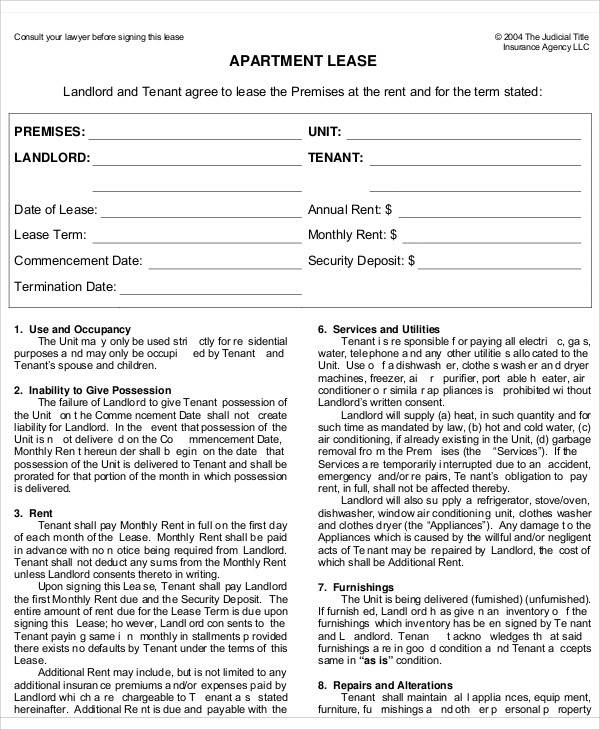 It is not mandatory, but adding a margin of the same size to all four sides of your document can give it a neat and framed look. 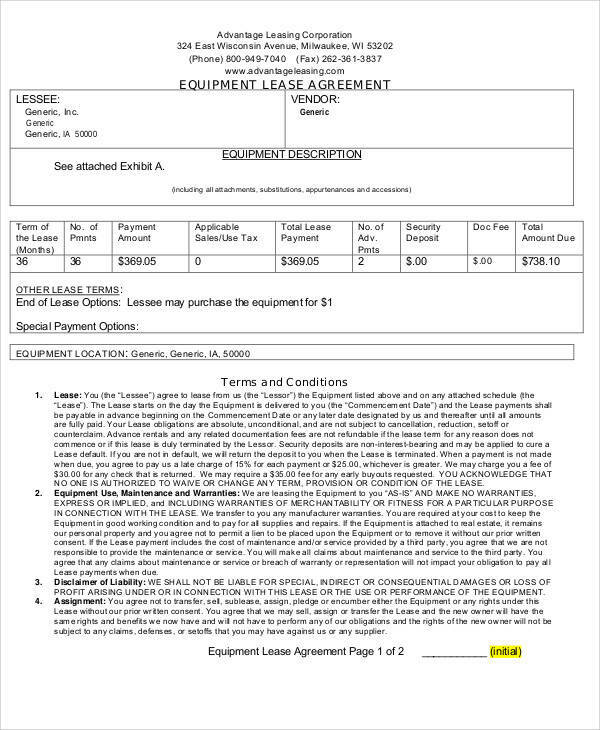 This will give your document a professional and trustworthy feel to it. 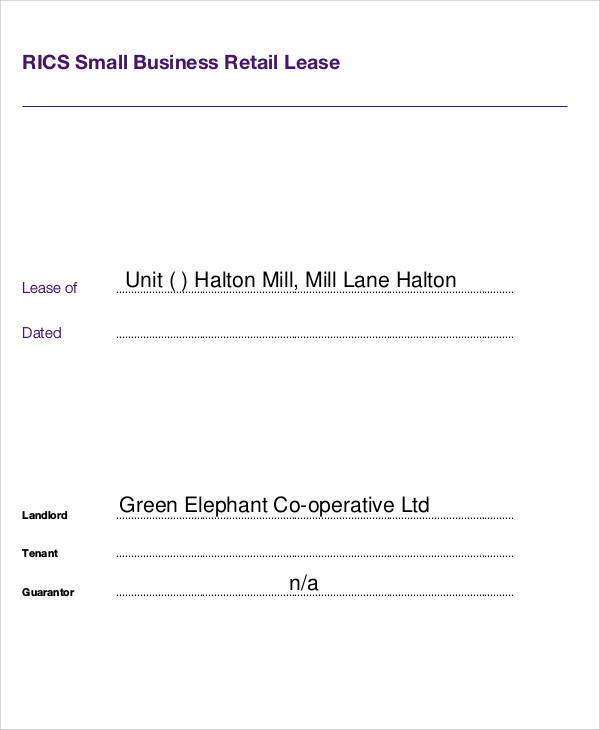 Use clear and concise sentences to avoid unwanted misunderstandings. 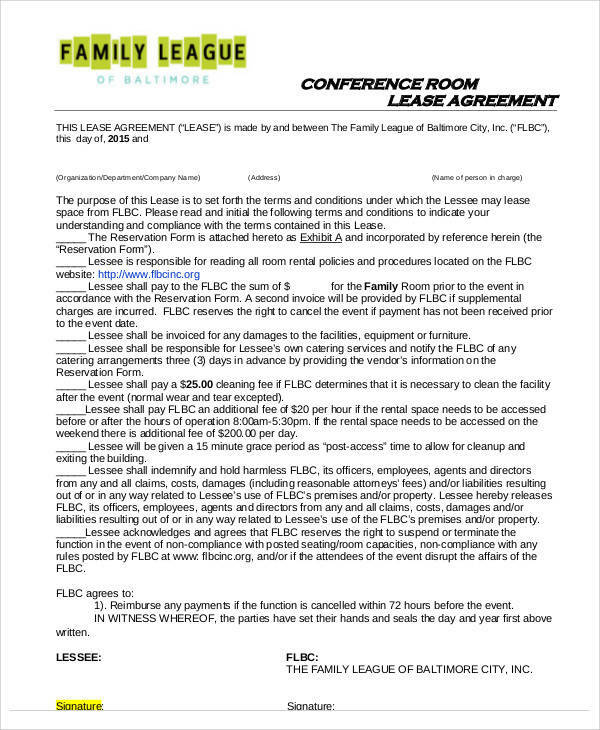 Use simple words. 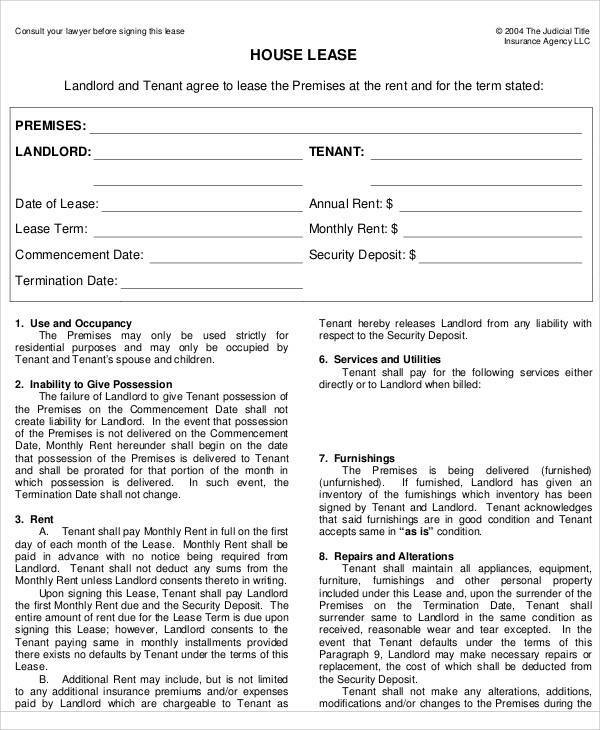 If technical terms are used in your lease agreement, it is best to add a page for the definition of terms. 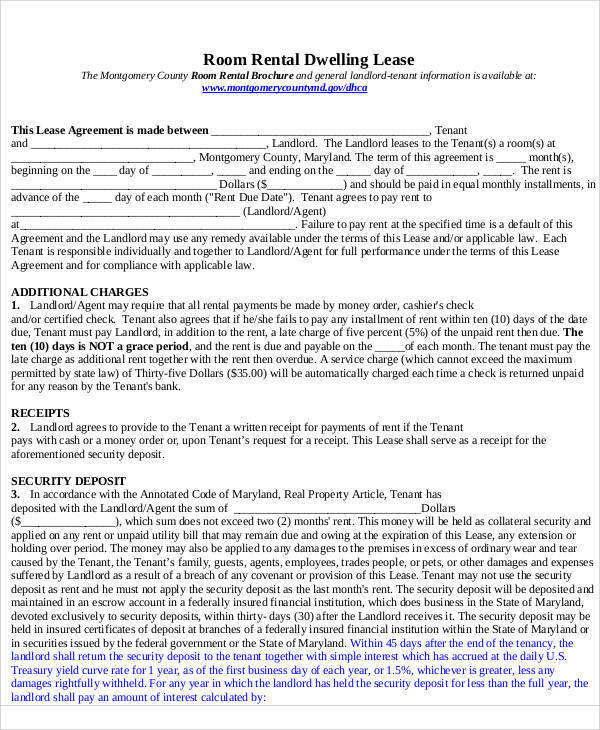 Traditional and easy-to-read fonts, like Times New Roman and Arial, are recommended font choices to use in your agreement. 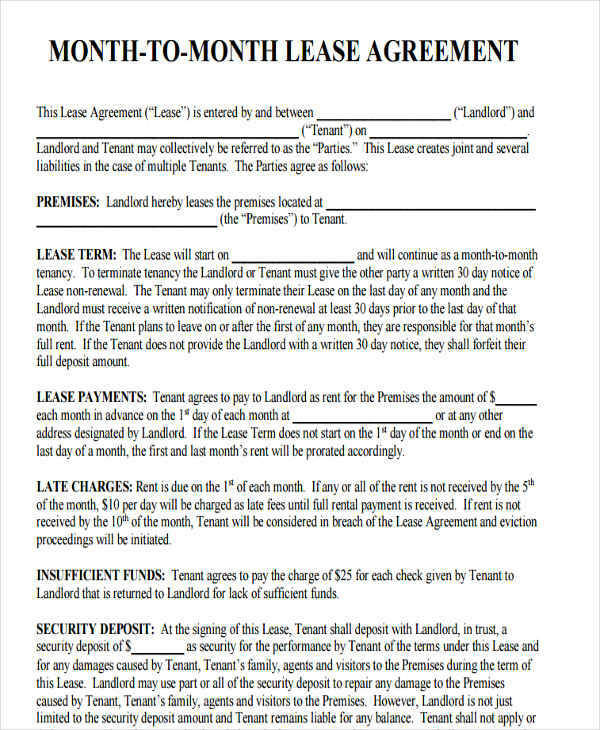 Explain each term and condition, and other important clauses in separate paragraphs so that they won’t get mixed up. 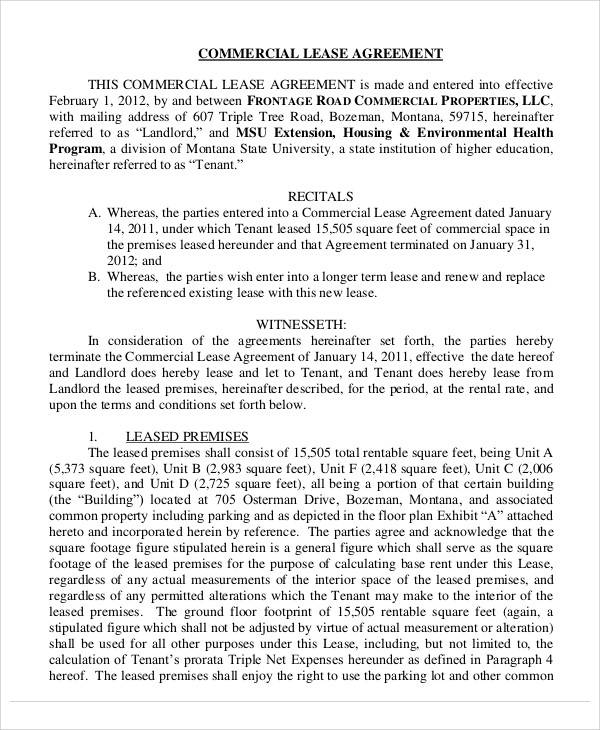 Make your lease agreement look neat by doing a double line spacing for the entire document. 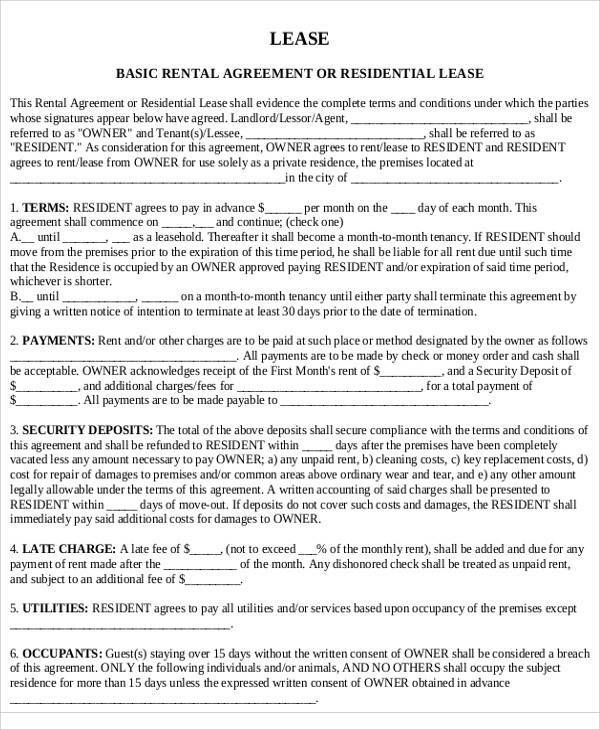 Save yourself from shame by always doing a spelling and grammar check on your lease agreement. 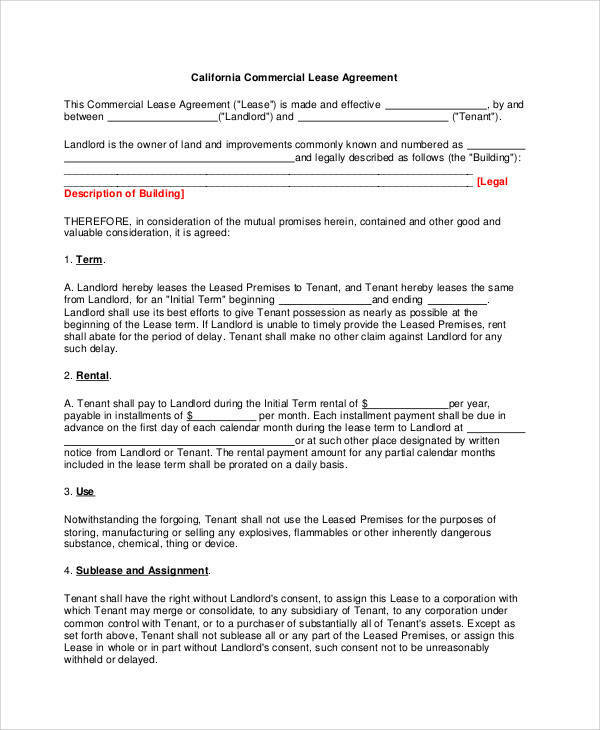 Other agreements you may find useful are land lease agreements and office lease agreements.